Read online or download in PDF format for offline reading and enjoy a beautiful Urdu story. Parizad novel is authored by Hashim Nadeem, he is a very popular Urdu novel writer, short and long Urdu stories writer, screenwriter, drama script writer and one of the most famous male Urdu novelist in Pakistan. Hashim Nadeem novels are not only read inside Pakistan but also in India and Bangladesh as well. Many Urdu dramas are also made on Hashim Nadeem novels. Parizad novel by Hashim Nadeem is also a masterpiece like all other Urdu novels of Hashim Nadeem, Parizad novel is one of from most popular novels of Hashim Nadeem. Urdu books and Urdu novels are very popular in all over the Pakistan, especially young girls and boys students are very fond of Urdu PDF books and Hashim Nadeem has very unique and respectable place in Urdu novels industry. Parizad novel by Hashim Nadeem is also available in printed format on local book stores. We are going to build largest Urdu novels library, where you can read online and download Urdu novels, you can also share these Urdu novels with your friends through social media sharing buttons which are available on each page. This time you are watching another beautiful Urdu novel Parizad novel by Hashim Nadeem. 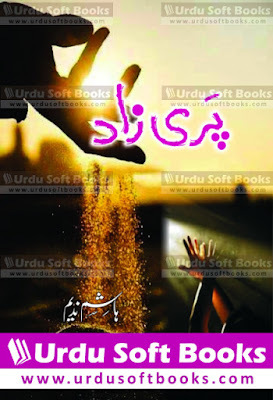 Parizad novel by Hashim Nadeem PDF, you can read online or download Parizad novel by Hashim Nadeem in PDF format using below links. Your feedback and comments will help us to improve our Urdu books collection.